Ronald Moray Neff, age 80, of Hagerstown, MD and Moorefield, WV died of complications due to cancer on Sunday, February 14, 2016 at Frederick Memorial Hospital in Frederick, MD. Born on August 27, 1935 in Moorefield, he was the son of the late Wilmer W. Neff and Ruth Vetter Neff. Career Technology Center in Frederick, MD. He served as President of North Gate Homeowner’s Association from 1998 to 2014. He is survived by his loving and devoted wife, Doreen Neff; two beloved sons, Tyler Neff of Middletown, MD and Randy Neff and wife, Laurel, of Haymarket, VA; four granddaughters; two great-grandchildren; and several close friends, especially Jack and Sue Slimmer. 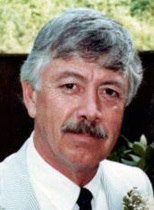 In addition to his parents, he was preceded in death by his twin brother, Donald M. Neff; daughter, Tracey L. Neff; and first wife, Carleen K. Mort. He was a great family man and loving father. After his retirement from education, he enjoyed spending time with Doreen and working on his family’s farm in Moorefield, WV. The family will receive friends from 6-8:00 p.m., Saturday, February 20, 2016 at Elmore Funeral Home, 217 Winchester Ave., Moorefield, WV 26836.
funeral home with Pastor Danny Sterns officiating. Burial will follow in Olivet Cemetery in Moorefield, WV. Memorial Donations may be made to the Peru Community Center, 19275 South Fork Rd., Moorefield, WV 26836.